Today, I would like to introduce a online shop which sells korean cosmetics and beauty products. I know most of people already heard about how good korean make-up and beauty products are. It probably made you wanna try them but unfortunately they are not easy to get, especially if you don't live in Korea or there is no such kind of cosmetics store in your country. You just can search it online but you may worry the products are not original or the prices are too expensive, etc. Now, you don't need to worry about those issues. I found this online store recently and I discovered their products are so hit, prices are reasonable and the most important thing is that all products are original. 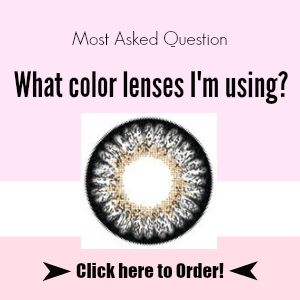 I will do a review of the product that I ordered soon. Stay tuned! 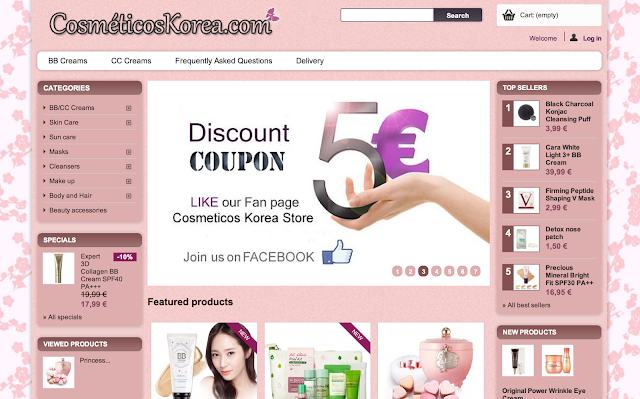 If you Follow Cosméticos Korea on their Facebook Fan Page you can receive a discount code of 5 € (6.75 US$). International Standard Shipping is FREE!! We send FREE samples with all purchases!! You can ask for products which aren't in the online shop!! I am a big fan of korean cosmetics, will surely check this website out..
Ooh great, I'll be sure to check this out. I mainly use Yes Style for international Korean orders. Hey there, loved your blog, you are beautiful!! just followed you on GFC (157) followed your instagram and liked your facebook page, would you mind to follow back? Thanks for sharing, I'll check the site out, xoxo.